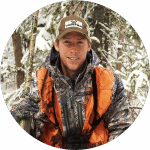 Bow hunting is part of our ancestral legacy, deeply embedded in our brain and in our nervous system. 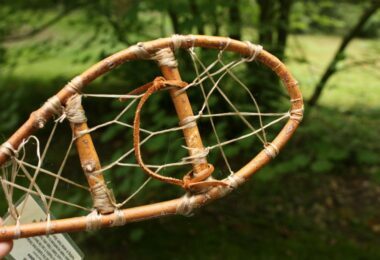 It challenges us to remember our ancestors’ ways when they used a simple bow and arrow to put down mammoths and other huge prehistoric animals. The bow and arrow were used long before the gun powder was even a concept and together, these two apparently flimsy pieces, make one of the most lethal and great to use weapons. 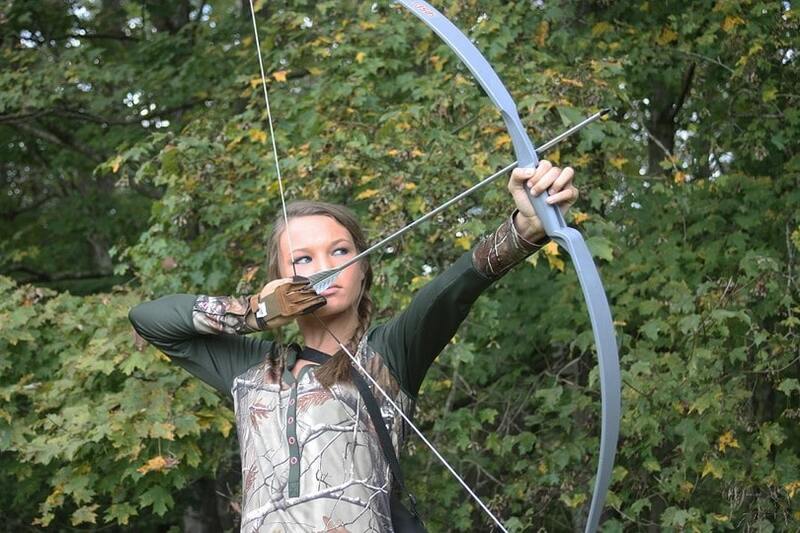 Silent and deadly, the bow and arrow challenge you to become better and overcome your limits. It may seem a bit odd to hunt with a bow and arrows these days when there are all sorts of firearms and accessories that make you a better shooter without too much effort. On the long run though, the bow and arrow are superior when it comes to surviving a global disaster. Firearms use ammunition and in order to keep yourself and your family safe you need to have access to it. On the other hand, with a bit of skill and survival knowledge you can fashion your own bow and arrows using what you have around so you’ll never run out of ammunition. Just like with firearms, there is a wide variety of bows out there and you need to find the one that suits your needs. 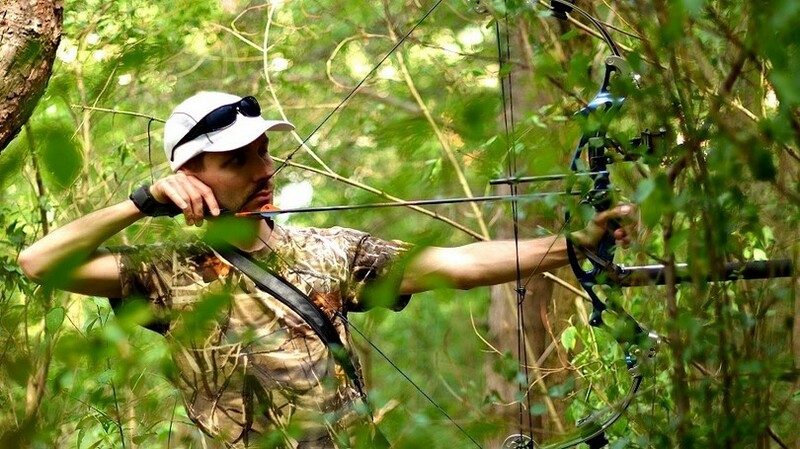 There are several factors you need to take into consideration when choosing or making the bow. It’s important to have a bow that fits your size and weight category otherwise you’ll hate archery from the first lessons. The first rule of selecting the right size for your bow is: never believe the salesman! Ideas that the length of the bow should be equal to your arm span or selected according to your age are totally bogus and make people buy improper equipment. With these data you will be able to choose a bow that is the right length and weight for you. There is a simple formula called the draw length that can help you choose the right bow for you. In order to get the necessary data and find out your draw length you’ll need the following: an assistant, a measuring tape, and math. The formula is simple: draw length = your arm span / 2.5. Have your assistant measure your arm span from the tip of one middle finger to the tip of the other using the measuring tape. After all this is done, you have the necessary data to apply the formula mentioned above. You can round up the result as it is always best to shoot a slightly longer bow than a shorter one. The straight bow is a more traditional bow that looks almost straight when viewed from the side profile. This bow offers maximum mechanical advantage and reduced draw weight at the beginning of the draw. The draw weight increases as the archer pulls the string, allowing the arrow to leave the bow with maximum force that decreases rapidly. There’s also the risk that the arrow leaves the bow prematurely as the drawing force increases. This bow is quite difficult to use and it is recommended for archers with experience. The recurve bow has a specific shape that allows the tips to curve away from the archer as the bow is strung and the string to still touch a part of the limb. This type of bow stores and delivers energy in a more efficient manner and offers the arrow a better trajectory due to the increased energy and speed transmitted by the bow. It’s recommended for beginners and people with intermediary archery skills but it can also be used by professionals during hunting trips where long bows are not as efficient. If you’re looking to get a bow for survival purposes, take a look at our reviews on the best bow for survival. 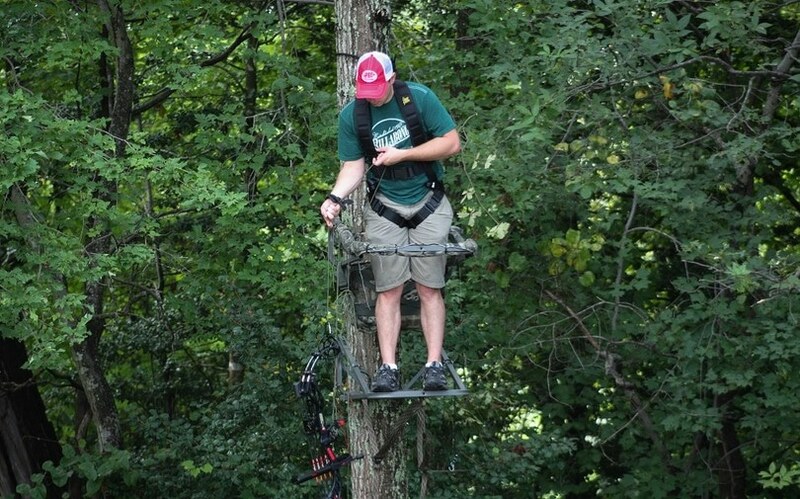 The compound bow uses a system of pulleys and cables to bend the limbs that are stiffer than those one a recurve bow. This stiffness makes the bow more energy efficient thus allowing the archer to give a better trajectory and more speed to the arrow. 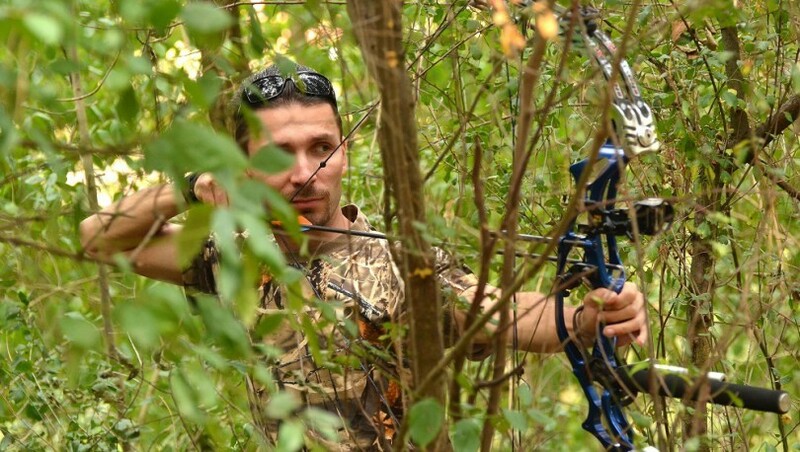 We also have a great article where you can learn everything there is to know about the compound bow and the best such product on the market. This refers to the amount of force you have to pull the string with in order to pull it over a distance of 28 inches. Here is a chart that can guide you in choosing the right weight according to your age and type of bow you use. The arrow is just as important as choosing the bow, as they act as a whole and you can’t hunt efficiently without either one. In order to choose the right arrow length for you and your bow you should do some measuring. Just like we discussed above, on measuring the bow size, you’ll need and assistant and some measuring tape. Stretch both your arms in front of you and bring your palms together (facing each other). Now ask your assistant to measure the distance from the center of your chest to the tips of your middle fingers. Add 1 inch to this measuring and you’ll have the approximate arrow length you need. Here is a table to help you combine the arrow with the bow correctly. If you want a bow for hunting, then you will need the right arrows. We have a great article about choosing the best arrows for hunting where you can learn about new products and available solutions. There is a huge difference between practicing and hunting. First of all, when you practice, your arrow only has to pierce a target made out of wood or cardboard. The drawing weight is not the same and it doesn’t require the same force from you as when you hunt. In hunting, your arrow must pierce through tissues, organs, and sometimes bones in order to make the kill. Muscles and skin are among the strongest tissues your arrow is going to have to pierce so you’ll have to send it with great speed from you bow. This requires a tremendous amount of force. Usually a recurve bow with a draw weight of 30 to 35 pounds should be enough for hunting small game like turkey and rabbits but if you want to start hunting bigger game like deer you’ll need a 40 and over draw weight in your bow. If you’re not strong enough to handle such a bow you should first train yourself and only then, go hunting. If you’re interested in finding the best bow for hunting, please don’t forget to go over our reviews here. It’s pretty difficult to become Robin Hood from your first bow hunting tries but, in time, you’ll get you’re A-game and you’ll manage to impress even the most experienced rifle hunters. All you have to do is be consistent with your training sessions and learn a few tips and tricks that will make you better. Accuracy is the most important ingredient – according to experienced hunters, if you can’t aim and hit the target as you wanted it doesn’t matter how modern and professional your bow is. 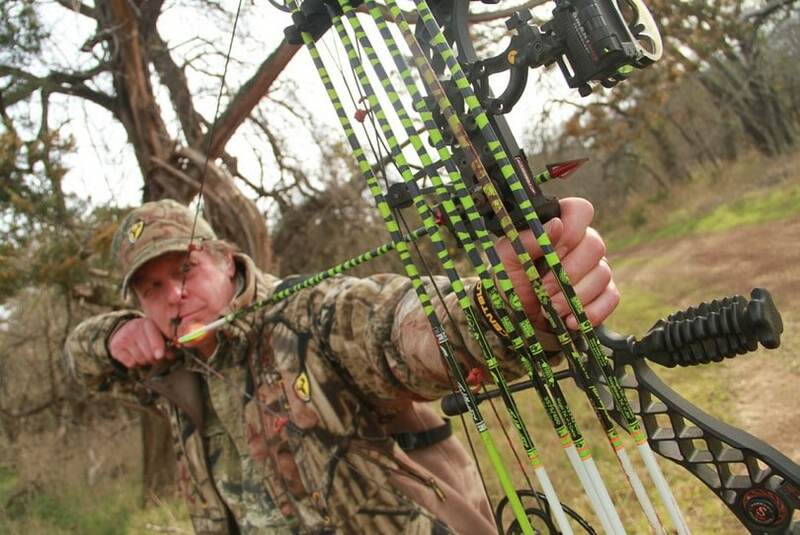 If your accuracy is good, you don’t need a super bow to put down small or big game. Of course, if you know your limitations, you can let the bow give a hand. For example, if you know your aim is not that good, don’t take a super stiff and light bow! 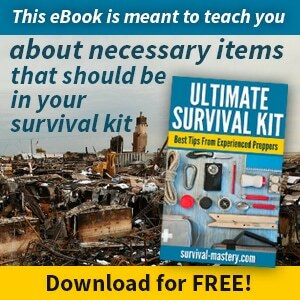 You’ll need one that is more forgiving with your aiming problems – one that is longer and heavier. This bow will definitely be slower but you’ll be able to hold it correctly and you won’t feel your arm trembling at full draw weight. Speed comes second – a bow that sends the arrow straight in the target at incredible speed needs a lot of help from the archer. If you’re skills are not completely developed, don’t even think about trading accuracy for speed. It’s better to learn how to get close to your pray and then shoot at low distance than to shoot and miss. 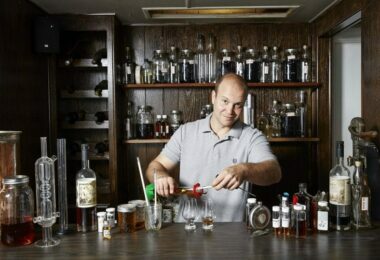 You should remember the first rule of hunting: only take a shot when you’re sure it is going to be a clean kill. There’s no point in butchering the animal and torturing it to death. Accessories can help – there’s no shame in admitting you need help. Archery is an art that can be mastered in time, with many hours of practice. So, until you become ‘The Arrow’, look for some accessories that will help you become better in no time, like a bow sight for instance. It will help you improve your aim and learn how to appreciate distances. We have a great set of bow sight reviews that teach you about features and prices, if you’re interested. Practice early in the morning or late in the evening – by practicing when there’s less light outside, you’ll learn your maximum effective range in these conditions. Remember that most white tail shots happen during these times of day so be prepared to use this knowledge on the hunting ground. Practice, practice, practice – yes, there are accessories that can help you be better and bows that are more forgiving than others but in the end, you are the one maneuvering them. In archery it’s extremely important to practice all the time so, in the end, to be able to shoot perfectly 5 seconds after you got out of bed in the morning. Find the best anchor point – an anchor point is where your release hand reaches your face at full draw. This must be a comfortable position for your release hand and your body so experience with multiple positions. When you find a good anchor point, make sure to keep it. The grip – you shouldn’t squeeze your bow’s handle with the other hand. The handle should be pressed against your hand’s heel, between the fleshy pads. Make sure to leave your hand open and relaxed as you shoot. This way you’ll have more force. Full draw and release – once you get to full draw, check your position: your release arm should be pulling the string and the bow arm should be pushing the bow towards the target. Make sure you are aligned with the target and that your shot is not headed down (it happens if the bow is too stiff). Once you’re sure you’re in the right position, release the arrow. Don’t maintain this position for too long as your arm may start to tremble if you’re a beginner. The first shot should the lethal one – when hunting, if you miss the first shot you won’t get a second one. Regardless of the fact that arrows are silent, a buck will definitely hear it whizzing by its ears as your failure sticks in the closest tree. To make sure you can make the first shot count, practice. As the season gets closer, try to imagine various hunting scenarios, set a target and make only one shot per each scenario. After a few days or weeks of practice, you’ll see that you get better at this. Make long shots – normally you’ll start with 30 yards shots but, in time, you’ll want to get better. To do so, try 100 yards shots. A shot taken from a greater distance will force you to bring your A-game and make sure you don’t miss the target. After you lose a few expensive arrows you’ll learn to calculate all the variables before releasing that string. 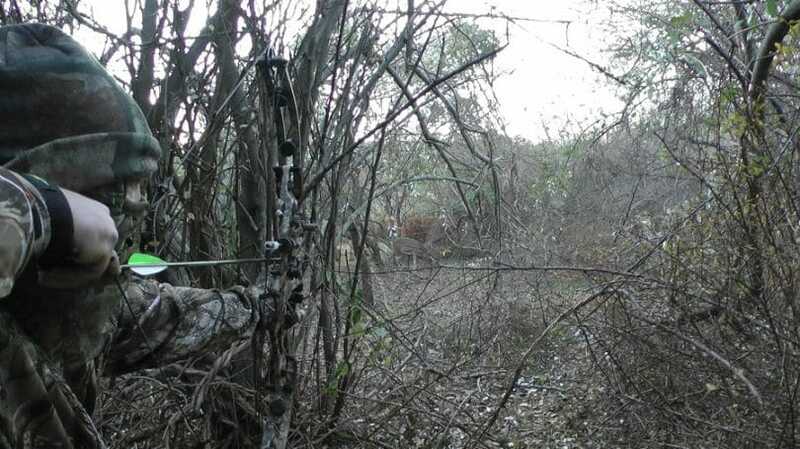 Get used to bad weather – there’s nothing more ‘fun’ than hunting with a bow during a rainy season. 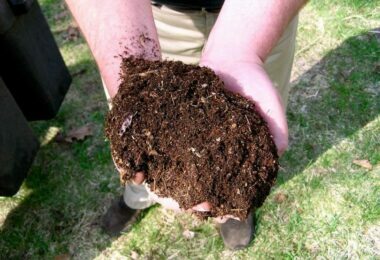 Still, if you learn to see pass through the humidity and obvious discomfort you’ll see that you can get better even in bad weather. Bow hunting is a fantastic experience that any hunter should try regardless of their love for firearms. 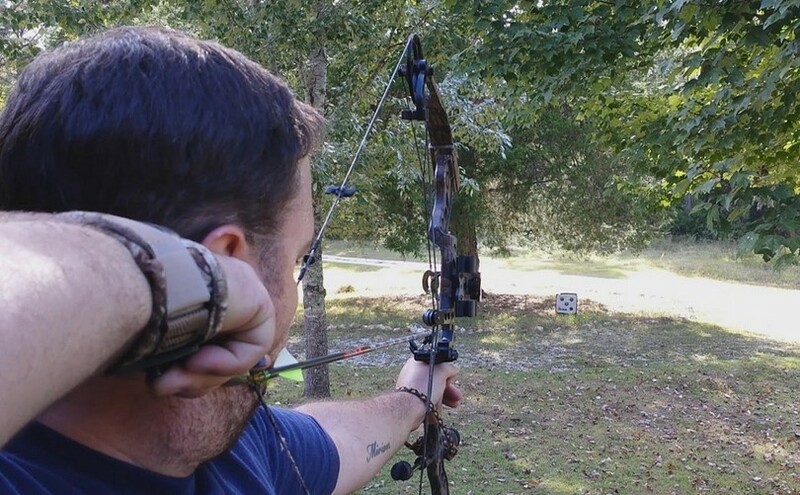 Getting close to the pray and feeling your adrenaline running through your release arm as you draw that bow is a fantastic feeling and you shouldn’t miss it.